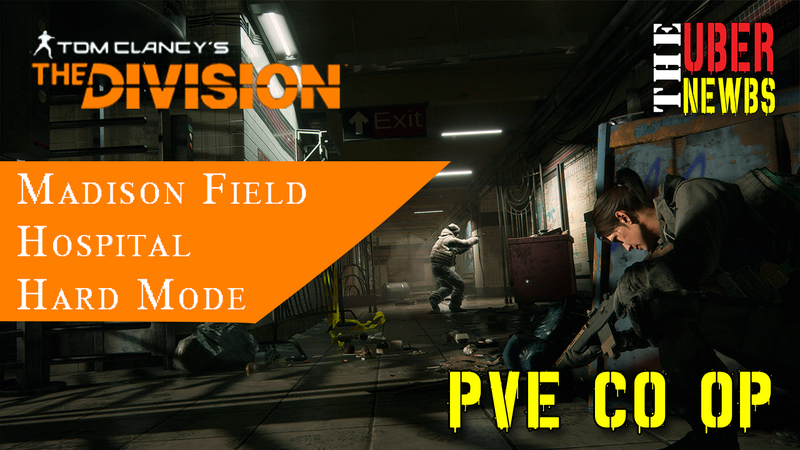 Hagen & Tadradan take you on a walkthrough for Tom Clancy’s “The Division” Madison Field Hospital Mission on Hard Mode. You can re-run the Madison Field Hospital PvE quest mission as many times as you like (so far anyways), but only after beating it on “Normal” difficulty can you unlock “Hard mode.” This is nice, especially considering the PvE content and quests during both the Alpha and Beta were pretty limited. Running the Madision Field Hospital on Hard Mode gives you some nice extras, like specialized gear (both the mission reward and drops from the final boss), bonus XP, bonus resources (help you unlock the quarantine area faster) and more credits! While it’s not confirmed, we believe that the loot boxes are tied to the same loot table. That being said, you should avoid grabbing certain loot boxes when running it on normal, especially the one in the contaminated area. There are only two others, one before the boss fight after clearing the cafeteria, and another after the boss fight. There’s also a rumor running around that Ubisoft will have an Open Beta around the 16th of February. We are really hoping that is the case, as there were some new issues that came up in the closed beta that weren’t present during the alpha. Minor nuances, but fixing those would help Ubisoft to have a release day like nothing we have ever seen…virtually bug free. No matter what happens, this game is going to be successful, amazing and hopefully change the way other game producers go to market with their games.